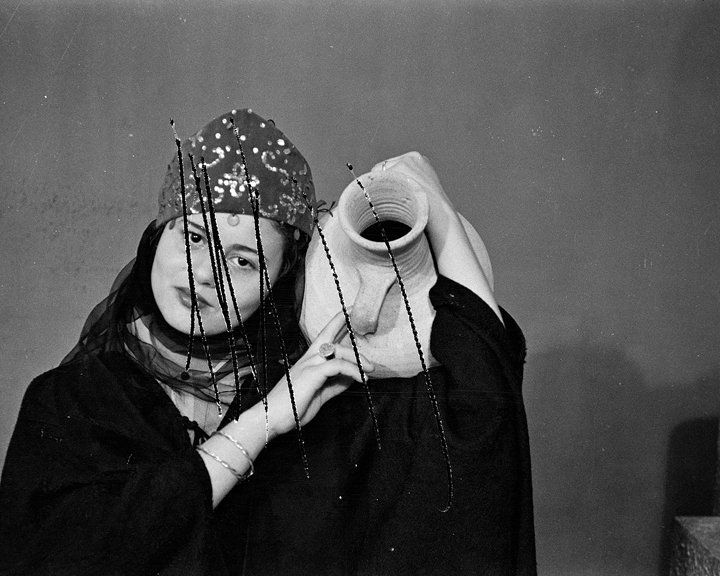 Akram Zaatari, Baqari's wife, Studio Shehrazade, Saida, Lebanon, 1957. Photography. “These are negatives that were scratched because of a jealous husband from the Baqari family, who never let his wife out by herself. He was upset to know that she came to be photographed in my studio without telling him. He came asking for the negatives. I refused to give them to him, because they were on a 35mm roll. In the end, we agreed that I would scratch the negatives of his wife with a pin, and I did it in front of him. Years later, after she burnt herself to death to escape her misery, he came back to me asking for enlargements of those photographs, or other photographs she might have taken without his knowledge. ” Hashem El Madani. 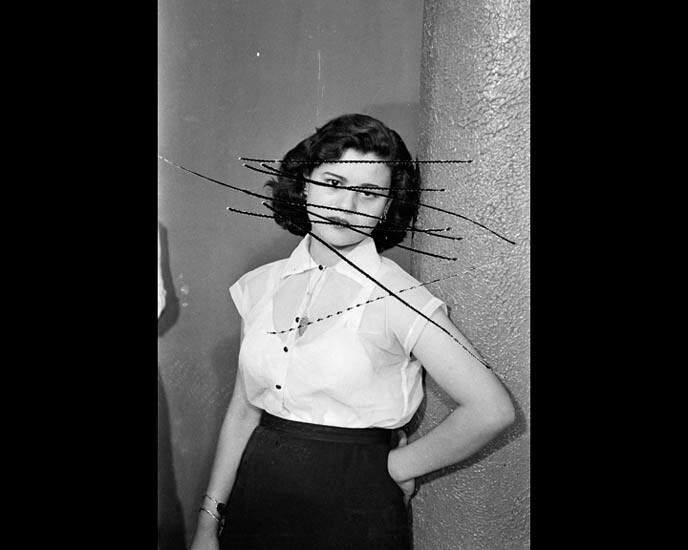 Hashem El Madani, a studio photographer in Saida, began working in 1948. Like all studio photographers his subjects came to him. The studio was a constant flux of visitors. It was perceived as a safe haven, where the subjects of his photographs could act out their fantasies within the conventional format of portrait photography. Madani records the poses, clothes and behaviour of his clients reflecting the social and political context in which they lived as well as the norms and the taboos. He portrays anonymous personages, people who normally fall below the radar of public interest.